For many, a life-changing volunteer experience leads to a fulfilling career! The Catholic Volunteer Network (CVN) are here to help you put to good use the skills you gained through your volunteer program and discover the perfect job. 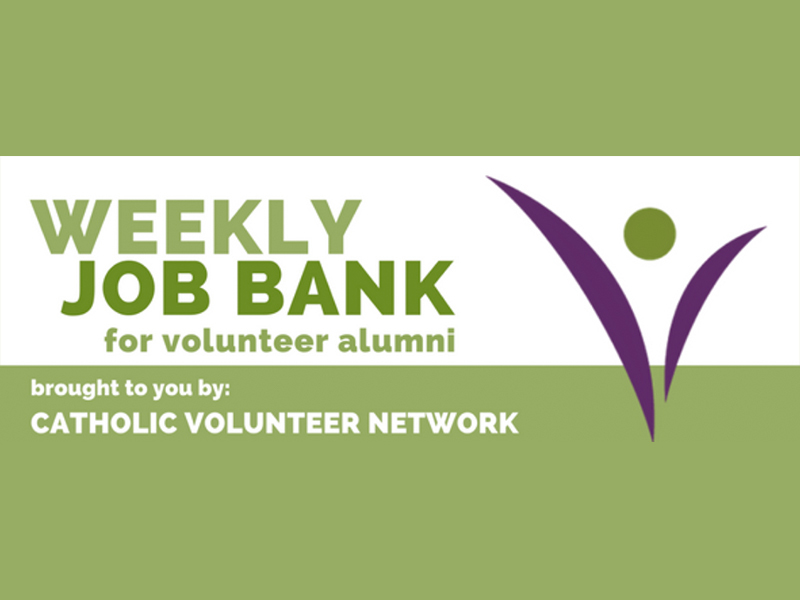 CVN provides a weekly job bank for former volunteers. This resource includes a variety of employment opportunities with non-profit organizations, social service agencies, campus ministries, and church ministries. The job bank is sent out every Friday afternoon. You can register for the job bank by clicking here. We also provide a special listing of staff positions available with our volunteer programs on our employment opportunities page.